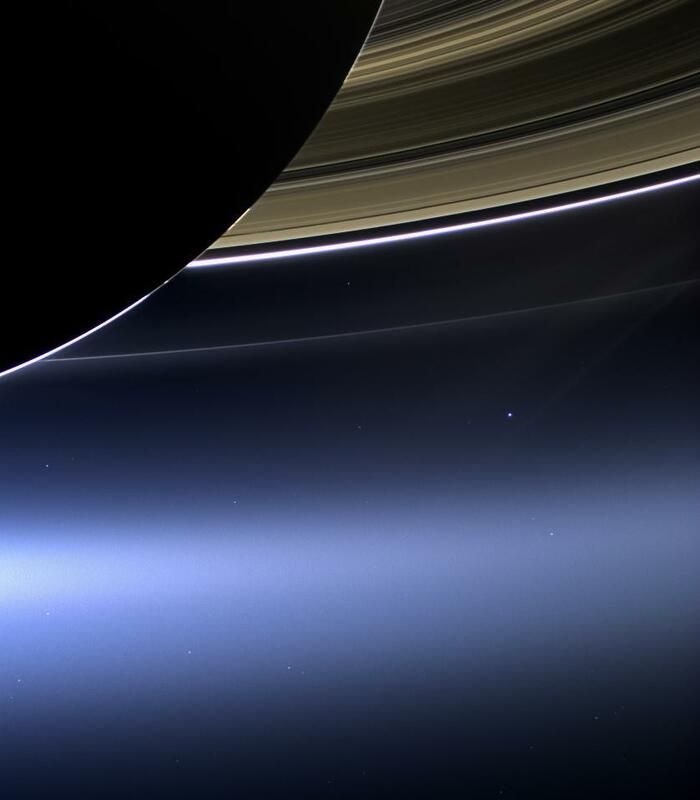 Of course, Earth isn't the only thing in the photo; we have a nearly 180-degree-phase Saturn and its rings, too. Sunlight is being refracted through Saturn's uppermost atmosphere -- that's what makes the sliver of brightness at lower left -- but the sliver of brightness breaks up as you follow it counterclockwise around the edge of Saturn's disk. That's where Saturn's own rings are casting shadows on the planet, so there's no sunlight falling on the sun-facing side to be refracted through the sky. 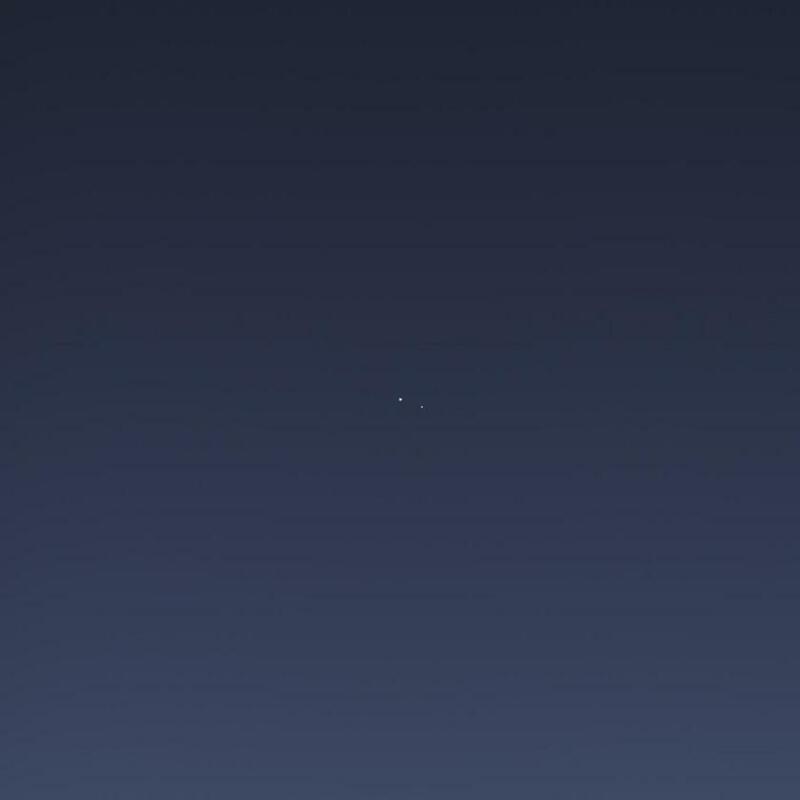 Taken during the "Day the Earth Smiled" imaging sequence on July 19, 2013, this narrow-angle camera photo of Earth and the Moon has been colorized with the wide-angle camera data. One paragraph in the caption released with a zoomed-in version of the Earth-Moon narrow-angle camera image caught my eye. It said: "Image scale on Earth is 5,382 miles (8,662 kilometers) per pixel. The illuminated areas of neither Earth nor the moon are resolved here. Consequently, the size of each 'dot' is the same size that a point of light of comparable brightness would have in the narrow angle camera." Of course, Earth is larger than 8,662 kilometers in diameter: its actual diameter is nearly 13,000 kilometers across. So shouldn't it be more than one pixel, if only slightly? It's not, because Earth is closer to the Sun than Saturn is, and consequently didn't appear full. In fact, it only a bit more than half-phase at the time. 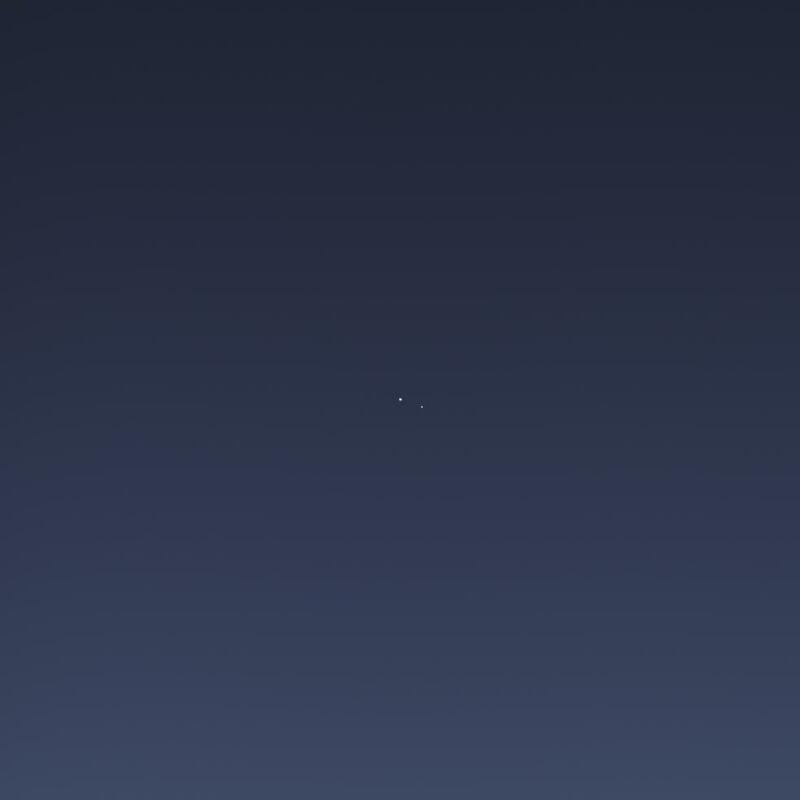 Its light may span more than one pixel, but there's less than a pixel's worth of sunlit planet visible. Here is a lovely comparison photo assembled by the Planetary Habitability Laboratory using image data from Earth's weather satellites acquired at about the same time, from about the same angle, as the Cassini photo -- only from much, much closer. The GOES image was grayscale; it has been colorized with data from NASA's Visible Earth project using the Planetary Habitability Laboratory's Scientific Exoplanets Renderer software. They released a similar photo of Earth from the perspective of the MESSENGER photo I blogged about yesterday; I've updated the blog entry with that picture. What is the large bright object upper center right by the rings? What a view of us! Spectacular! I don't see any other Earths out there, so let make sure we take care of this one OUR HOME, before it's too late. Spectacular picture. I just wish my dad, Theodore Sturgeon, had lived to see this image. He wold have been so thrilled! What an accomplishment this is...Cassini rocks! I remember the image taken from Voyager looking back from the edge of our planetary system. That was an astonishing view but this seems more emotive somehow. Not simply a pixel but a living planet and the moon we see each day - "us". Does the Earth reflects back more light to the outer space because its atmosphere composition? If so, a picture of it should more shinning that one of Mars. Am I right? Thank you Cassini; wonderful job. How far is New Horizon from Saturn, now? My comments are more questions than something else. So the Earth and Moon are in the lower third of the hazy band, almost centered from left to right of the frame, correct? Does anyone answer these questions? Someone should make that photo available for purchase. I'd buy it. It makes me feel how homesick I would be if I were on Saturn looking at my home planet. @Hartson: it's probably a star. @Fidel: Earth is fairly dark, with an albedo of about 37%, but that's brighter than either Mars or Mercury (or the Moon, for that matter). But Earth's clouds are very bright, and of course it's larger than any of the other inner planets. So it's a fairly bright spot in the heavens. As for how far New Horizons is from Saturn, you can use the website space.jpl.nasa.gov to answer that question for yourself. Roy: No, Earth and the Moon are the brightest spot in the picture, above the hazy band of the E ring but below the narrower, slightly sharper but still hazy band of the G ring. 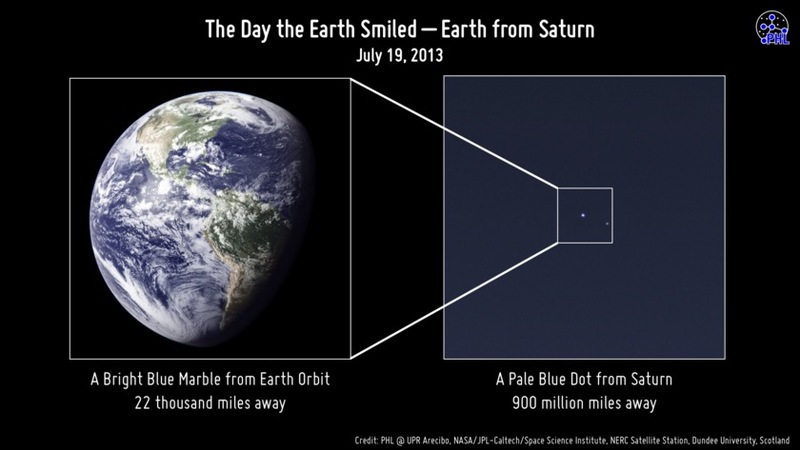 It is fantatick to see the earth as a small dot from Saturn and too think that wee are so fare.